When it comes to building communities, we only know one way – The Geric Way. At Mike Geric Construction, we build quality homes that reflect our commitment to our community and our homeowners. The thoughtful, community design at Travino includes some surprises that we think make it an extra special place to call home. 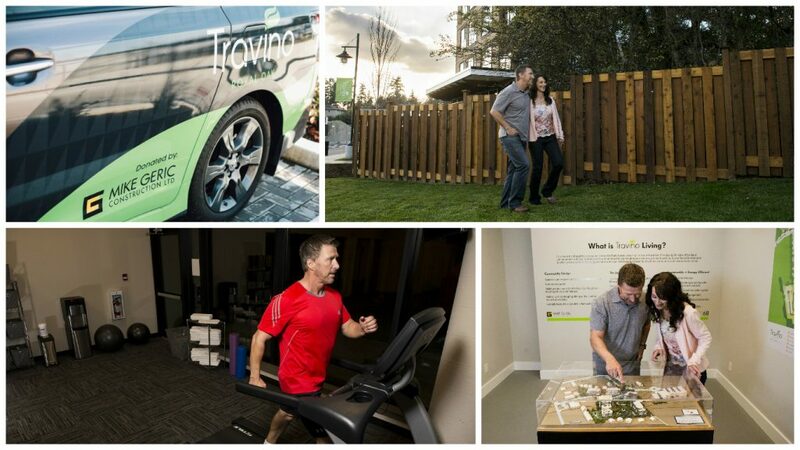 Here are 7 things you may not know about Travino. So many amenities – Upon completion, Travino Central will be home to a community meeting space, games area, library lounge, and media theatre. Transportation – Travino’s Van Share program launched last month, click here to read more about it. There’s also Bicycle Share & Bus Pass programs for Travino residents. Expansive green spaces & professional landscaping – Walking trails meander throughout Travino and connect the community to the Royal Oak neighbourhood. A Gazebo, water features and community garden are some of the highlights along the trail system. Fitness Centre – A healthy, sustainable community is what we’re committed to and that includes you! Quiet Homes – Travino’s advanced soundproofing exceeds building code – by a LOT. The Mike Geric team is using the latest soundproofing technologies to build a better, quieter home for you. Built Green Gold design – A lot of thought about healthy spaces and saving energy has gone into Travino, including on-site rainwater management, central solar-assisted hot water and building products with recycled content and low to no VOCs. There’s even electric vehicle charging stations! Garry Oak Pet walking area & indoor pet washing station – We know you love your pets! That’s why we wanted to make Travino the best home for them too! Click here to access pricing and to stay informed on all the latest from Travino!